About 16,000 Isuzu Bellett sedans are believed to have been exported from Japan to Australia, plus about 290 Bellett GT coupes in the period from 1964 to 1970. The majority of cars were imported by 1968. As far as I know, none of the station wagon variants or diesel cars were imported nor the 2 door sedan called the 1600 Sport or the DOHC GTR coupe. 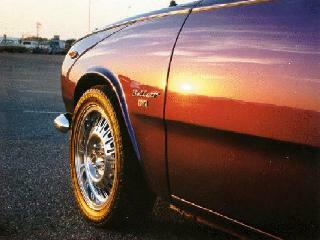 A few 1800cc SOHC coupes have been seen. Accounting for damaged cars, there are probably less than 100 or so complete GT's left in Australia. I have been a follower of these vehicles from 1966 when I first saw them and then from about 1979, when I actually got to own my first Bellett, a 1965 sedan, which I rebuilt. Since then, I have owned six or so, including sedans and 3 GT coupes. I recently sold my last GT, which I restored in about 1992. 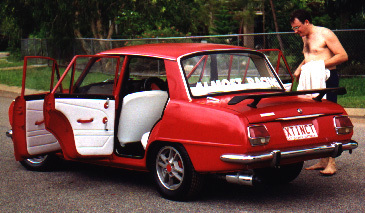 I have been a member of the Bellett Car Club of Victoria (inc) since about 1980. I was the Treasurer of the club up until early 2012. UPDATE July 2012:- After being without a Bellett since 2005, the 'urge' (disease?) has returned. BellettMania BCCV magazine highlights ! Bellett Club pictures and past events See a long line of Bellett's !!! Bellett Engine swaps Fancy a different Isuzu engine in your Bellett ? Club Cars Pictures of members cars. Feel free to link to these pages! (C) 1999 - 2006 Images may be used for non-commercial purposes. Please note that I have no financial connection or otherwise with any of the companies which may be shown here by way of their trade marks or registered names etc which are shown only for clarity. Every effort has been made to include accurate information only, but please accept that these pages reflect my interests and ideas only. No guarantees are given or implied as to the suitability of this material for any purpose whatsoever. Come back here again sometime, please. The Isuzu Web A huge site dedicated to lovers of all types of Isuzu cars. Well worth a visit. Alan's Bellel and Bellett pages. Peter's 1800cc SOHC powered 1966 Bellett race car. Peter rolled it over at Phillip Island race track. March. 2000 New shell required and lots of work. Russel says work is on hold for a while. ex Bellett GTR DOHC engine is now in a sedan, with twin Weber carbs and other goodies. 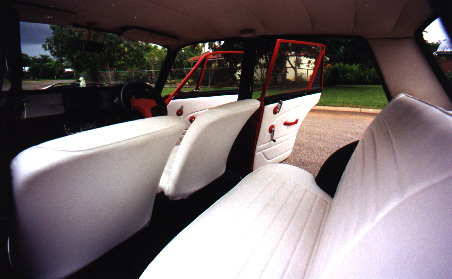 From Darwin, Neil's '66 sedan, almost finished, only interior to go. Looks fantastic, has "XTINCT" number plates! and a new white interior. New (more power!) motor is next. r since Nov 24th 1999 Best viewed on 800 x 600 screen.